We hate mosquitoes for sure- they do ruin it for sitting outdoors in the yard. We have raspberry bushes in our yard and I swear those little buggers are out in there waiting for you to come pick berries, even when the sun is out.So, when we had the opportunity to review the Dynatrap, we were very excited! We have only been using it a week and are quite pleased- it's working already! It has captured and killed mosquitoes and moths- although I will admit we let a few of those that were still alive in it, when we checked go! Our issues weren't with them. Whisper quiet operation- you don't hear it! 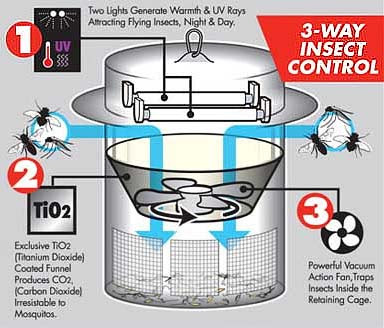 Dynatrap makes insect traps that work on the same principle as others. They attract flying bugs with warmth and carbon dioxide, then catch them and prevent them from escaping. ... The main difference is that they don't use propane to create carbon dioxide (CO2). Instead, they use a special process. Where can you buy your own you ask? Well @ any of these great retailers and locations. Or you can win one! We're having a giveaway with the opportunity to win your own Dynatrap! The giveaway is for Canada and the USA and will be held by a random draw from Random. org on August 21, 2017 from all entries received. Just leave us your contact info- we'll get in touch if your our winner! I would love this we have tons of them this year! This would be great. Lot of bug my way. You are so great, thank you! I am following as iceyninja :) I love your blog!!! awesome giveaway thank you so much !! Following and shared on Facebook under Lushka Smith.